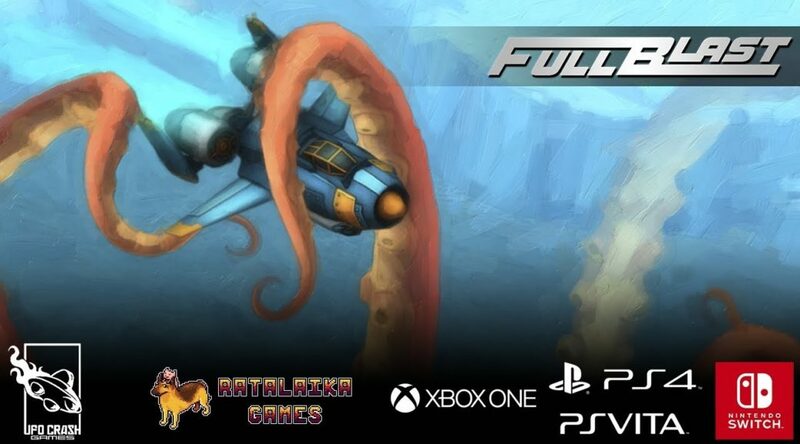 Ratalaika Games and UFO Crash Games have announced FullBlast, a retro vertical shoot ’em up for Nintendo Switch. FullBlast is scheduled to arrive in September 2018 via Nintendo eShop. We’ll have more details on its price and release date later. Check out the first details and trailer below. FullBlast is a retro style vertical Shoot ‘em up that will delight nostalgic players who have grown up playing SHMUPS on arcade machines. Its graphics are inspired on titles from the 80’s and 90’s, but using current technology and visuals, so it may result also attractive for the new generation of players that could discover a genre largely untapped today. Regarding gameplay, FullBlast features classic SHMUP mechanics, this is not a bullet hell game, it is a fast-paced action game, but more like the old classics. FullBlast features a story campaign of 12 random levels and, as usual in every game of this genre, mankind is at the verge of extinction due to an alien invasion and you’re the last hope to save the world. With no other choice but to take the control of your powerful fighter and upgrade your weapons to kill thousands of alien ships and creatures, humanity’s retaliation against the alien invaders, starts now! Power-ups and power-downs (be careful of what you pick! !